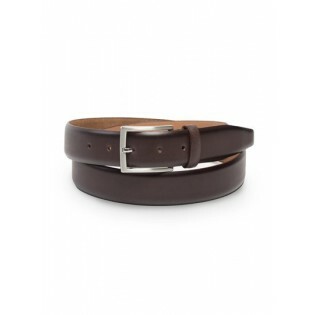 Looking for a classic, timeless, and easy-to-match belt in dark brown? Then Mont Pellier's most classic design is the one for you! The stitchless edges, clean lines, and unembellished silver buckle will add timeless elegance to almost any pant color. Chose your belt size from the drop down below. SIZING HELP: Need help decide what belt size you need? Then check your trouser's waist and add 2-4 inches. 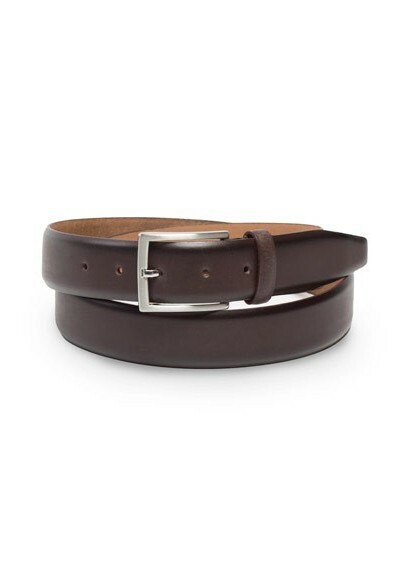 For example: If your trousers have a 36 inch waist, then both a 38 and 40 inch belt size will work well.